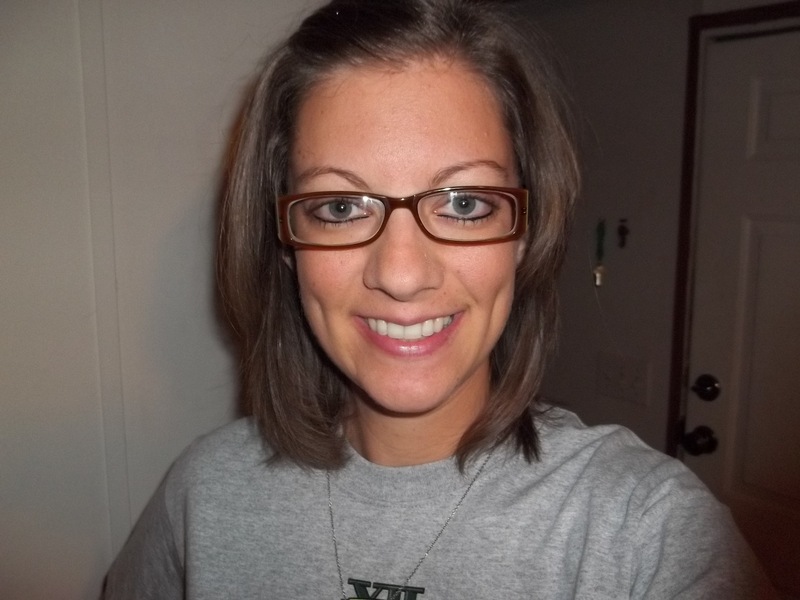 Today was my 14th Weight Watcher’s meeting…. Tonight (August 30th) I lost .6 lbs. I just finished making a free 5×7 CARD on Shutterfly…..
(If I post about making it, I get $10.00 off my next purchase)! 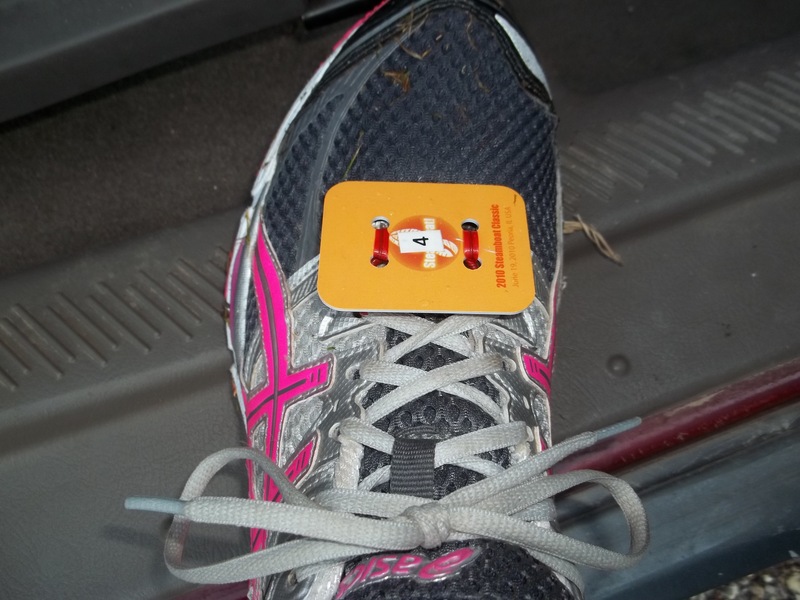 On June 20th I started 5K training….all leading up to today! This is what I trained for! And I did it! If you remember this post, you know that I pretty much counted myself out of this race because of my heel. Yesterday I was on the ropes course for 8 1/2 hours and my heel was very swollen when the day was done. So, I thought I was done. I convinced myself I was just going to walk. It wasn’t worth the pain. 3rd mile (plus some): 12:22-the 3rd mile was by far the hardest for me. The route wasn’t hard, but by this time, my heel was hurting BIG TIME! I kept repeating myself over and over, “Come on, Callie. You can hurt later! Just run!” And I did. My time in Wenona was 30:48, so I was a little bit slower today, but the route in Lacon is also way harder (in my opinion). 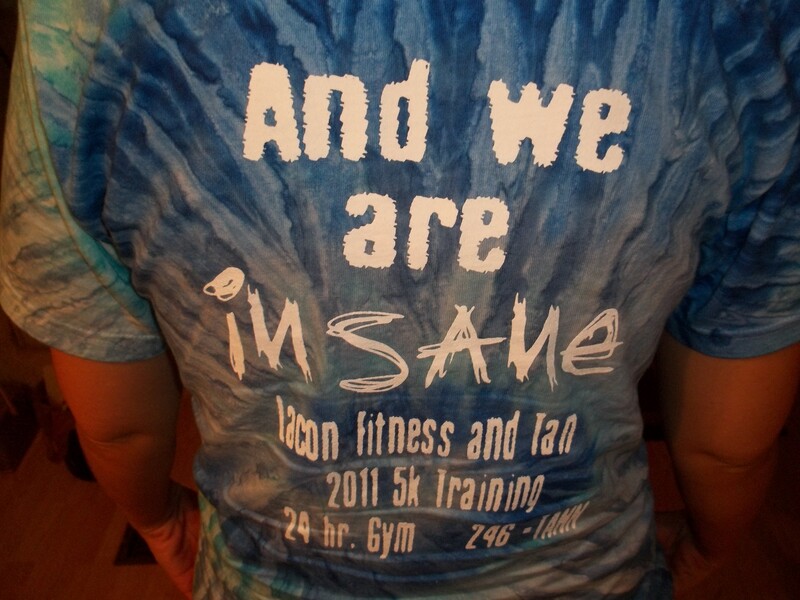 Paul did tell me I was completely crazy for running, so I guess the shirt holds true! my friend, Stacy-she did her best time ever!! 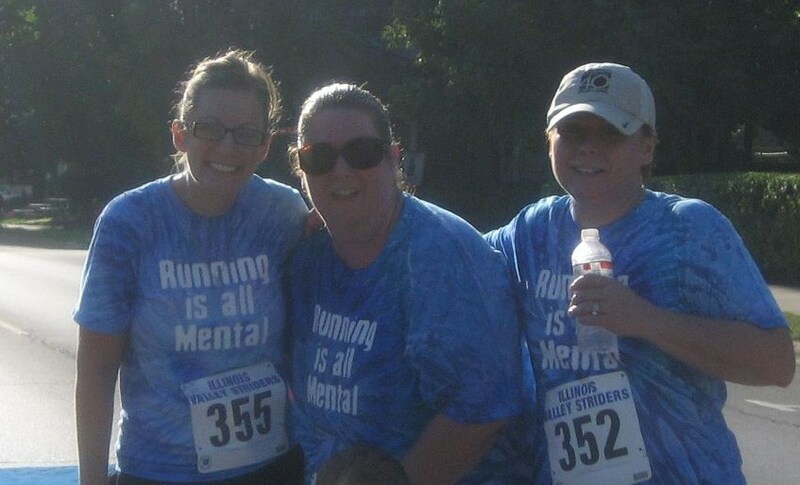 me, Stephanie, and Julie-Julie, the ultimate encourage-er!! And a sign I found that I thought was cute! I think my body is telling me I’m done for awhile. Last Thursday, if you remember, I ran with the Advanced Group. Bad idea. My right foot (my heel, really) started hurting Thursday night. And it hasn’t let up…at all. And then, on Friday, my left leg started hurting (I think primarily because I was limping, compensating for my right foot). Everybody kept telling me to rest, but I didn’t want to rest. I wanted to run. To prove something. So, I tried to run on Sunday. 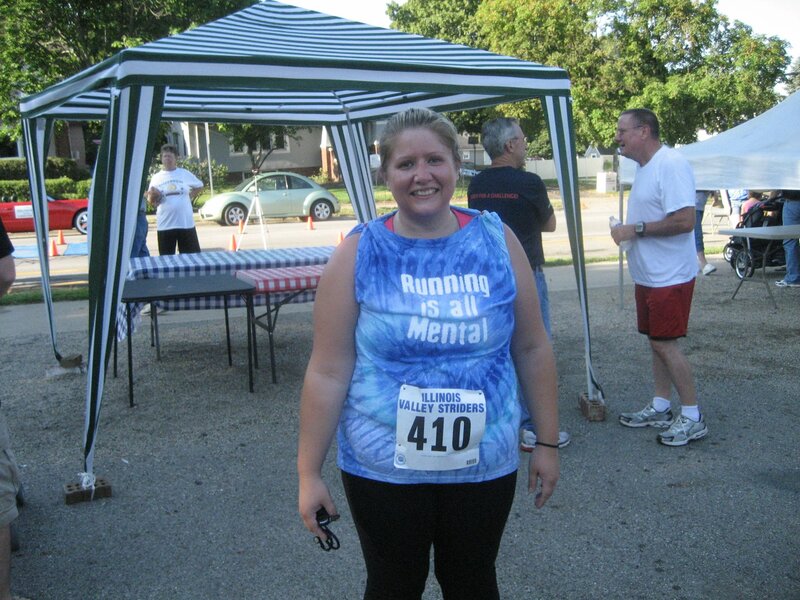 I did the 1st mile of the 5K and that’s all I could do. I barely made it back to my car, walking (which was another mile a way). I rested again on Monday. Tuesday night I went “running” (more walking, than running), trying to “get over the pain.” It persisted. 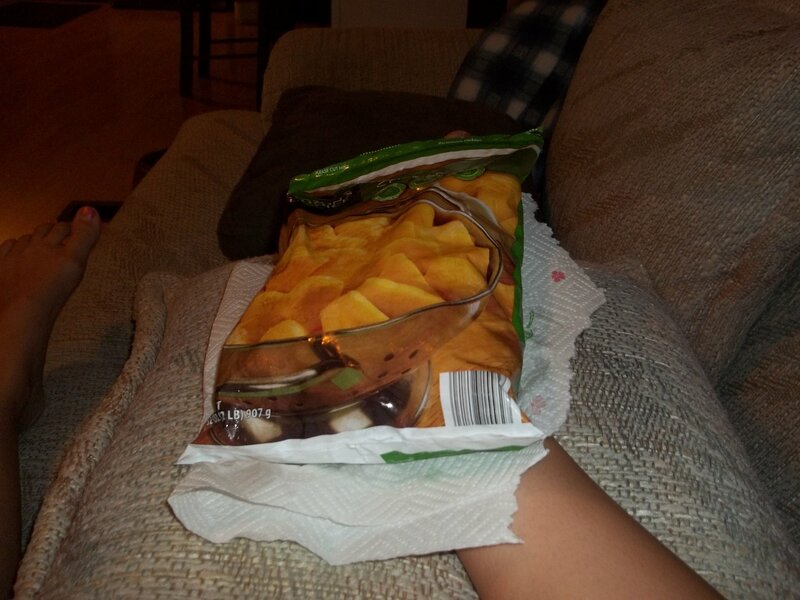 I was limping….BAD…. Today I went to the doctor. Of course, he couldn’t really tell me anything. They did X-Rays, but nothing was cracked or broken (they thought it might be my heel bone). But, alas nothing. So…here I sit. (or lay, as the case may be). In pain. Disappointed. Frustrated. I’m not sure what to do. I REALLY, REALLY want to run on Saturday. I still may. I don’t know. At this point, I want to do it just to do it. Not for a specific goal or time, but just to complete it. We’ll see. I’ll let you know. 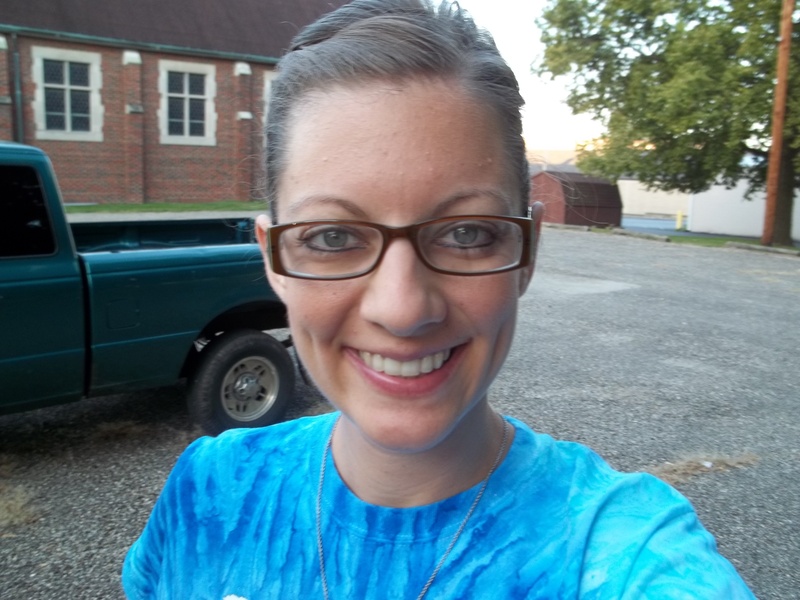 Today was my 13th Weight Watcher’s meeting…. This morning (today) I lost 1.6 lbs. When I stepped on the scale the 1st time I missed the 20lb. mark by .02….I asked her if I could weigh again, just to make sure. She said that was fine, but be sure to take off my necklace and glasses! Tonight I ran with the Advanced Running Group. It was definitely a blow to my ego and a very humbling experience. 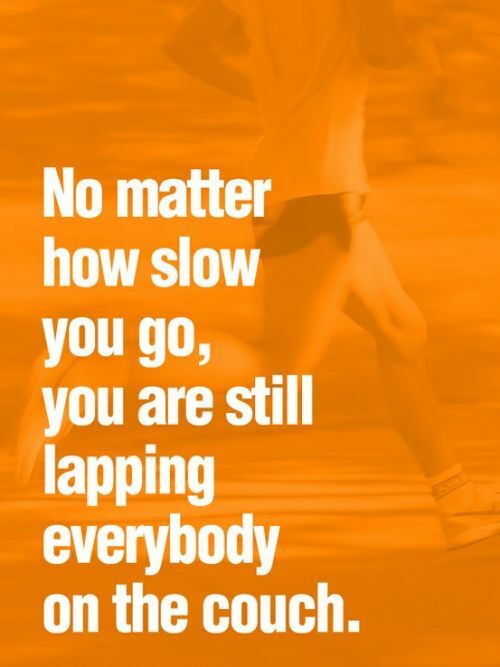 When I run with the Beginner’s Group I am usually one of the first to finish. Tonight, I was LAST….dead LAST…. 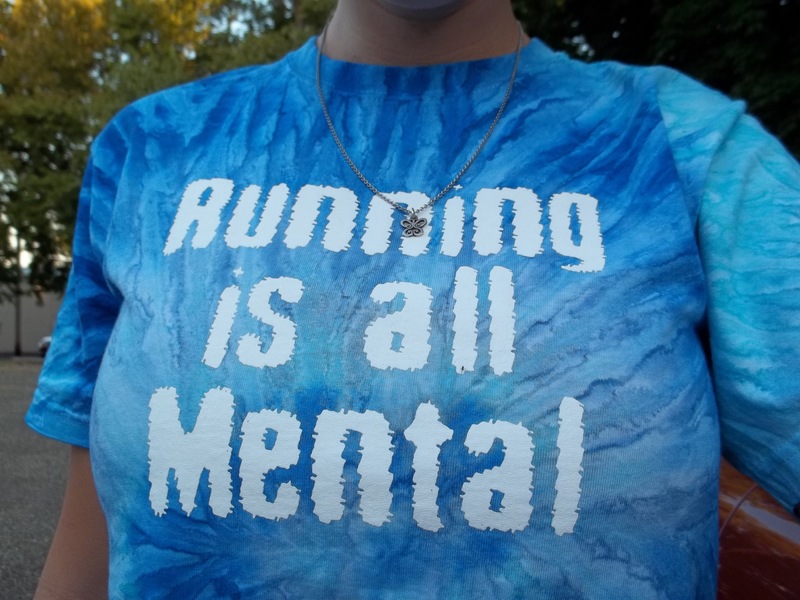 After I ran about 2 miles (off/on sprinting and running), it got to my head that I couldn’t do it anymore…. So, I did what I do best. I started crying. It’s hard to cry and run at the same time, so I stopped. Amanda, being the loving person that she is, yelled at me to keep going….unless I was hurt, I was running! So, I did….. I talked to her while I was running, telling her that I was struggling with being last b/c I was used to being first. Her words of advice: “Somebody’s gotta be last. Now you know how the other girls feel. Now, let’s go!” (She’s wonderful, I tell you)!! 🙂 But, she’s right…. The one good thing that came out of tonight. 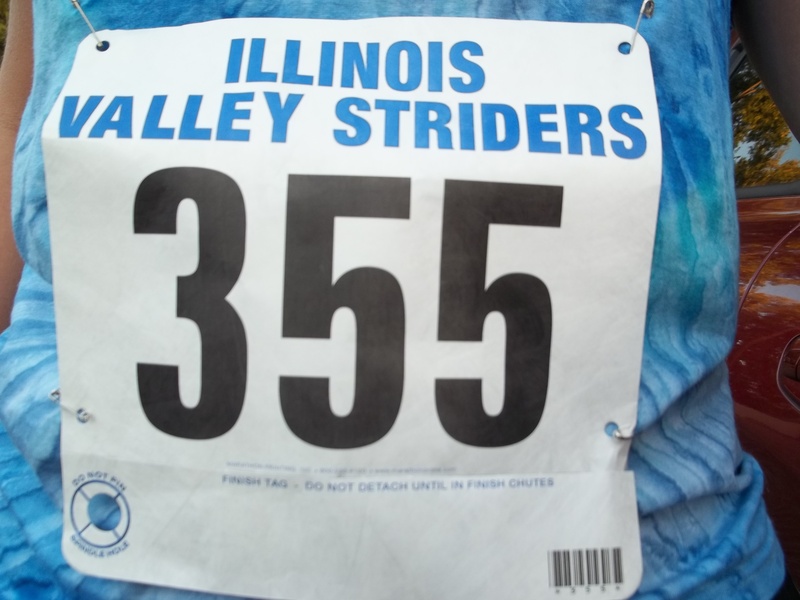 On July 16th I ran .25 mile (one time around the track) in 1:44. Tonight I did it in 1:37. Welcome to the 31 Club! That’s what my neighbor told me today…. I woke up this morning, looked in the mirror and said, “Happy Birthday!” (Paul’s not home-he’s still on vacation), so I had to wish myself a Happy Birthday! I worked this morning and then went and had a FABULOUS lunch with Ember, my neighbor! 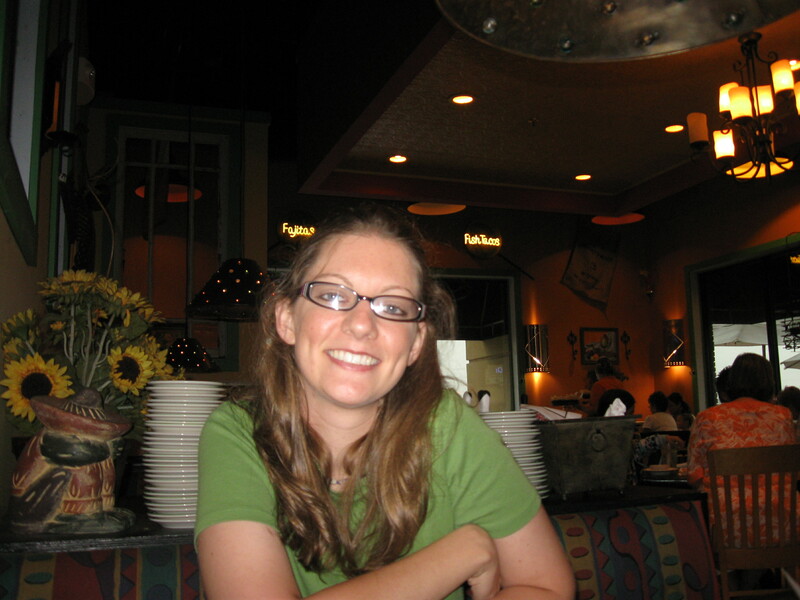 🙂 And, tomorrow I’m having lunch with my other neighbor, Shannon…..
Look how long my hair is!! 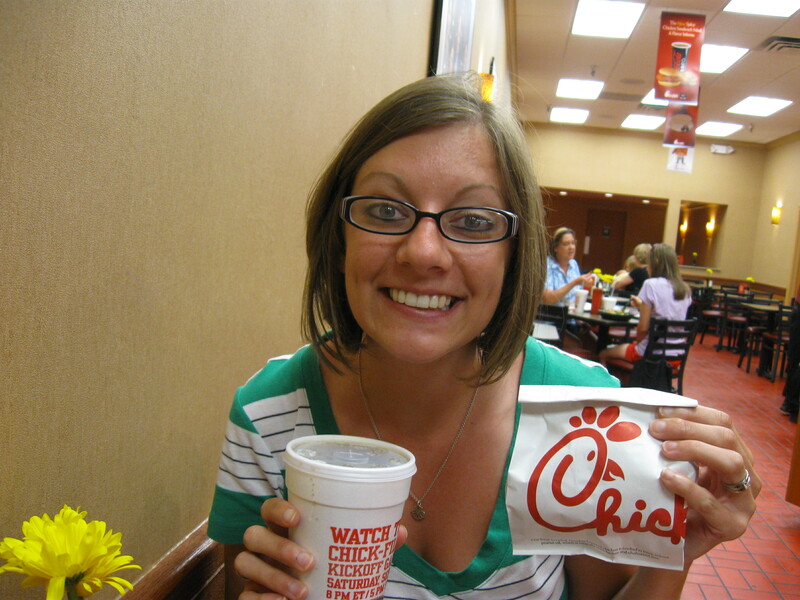 My love affair with Chick-Fil-A shines through! I had to take my own picture b/c Paul wasn’t around! Happy Birthday to Me! (And, to my brother-in-law, Scott)!